The Workshop buildings are architecturally significant in railway history. The original 1887 buildings are recognized around the world as the most endurable railway buildings of the 19th century. 1884 – The Newport Railway Workshops were built between the Geelong and Williamstown Railways. 1886- 88 – Breretin and Lewis, modified the Newport Railway Workshops inspired by the designs of the British Railways buildings. 1888 – The Newport Workshop facility includes; a Central Block of offices including a clock tower and, stores, a large tower off Champion Road, equipment repair and maintenance housed in the East Block, with the West Block for maintenance and repair, of, - locomotives and boilers. 1887 – Tarpaulin Shed was built. 1890 – The Tarpaulin Shed was doubled in size with a near identical brick structure. 1902- 1915 – Newport Workshops were expanded and a program was initiated to renovated and have its facilities updated. 1912 – The Tarpaulin shed was expanded to double its size with timber and metal construction. 1923-24 – 68% of Victoria’s electricity was produced from Newport. 1932- 1945 – The Depression and Second World War restricted Railway budgets, and Newport was used for wartime manufacturing. 35% of employees working at Newport at the time were women. 1945- 1950 – (Post-war Period) – Locomotive construction was no longer undertaken at Newport premises. 1962 – Newport Workshop Manual Training Centre opened. 1970’s – The Railway Workshops were listed on the Victorian Heritage Register. 1992 – Newport Railway Workshop is closed with operations spanning 106 years. 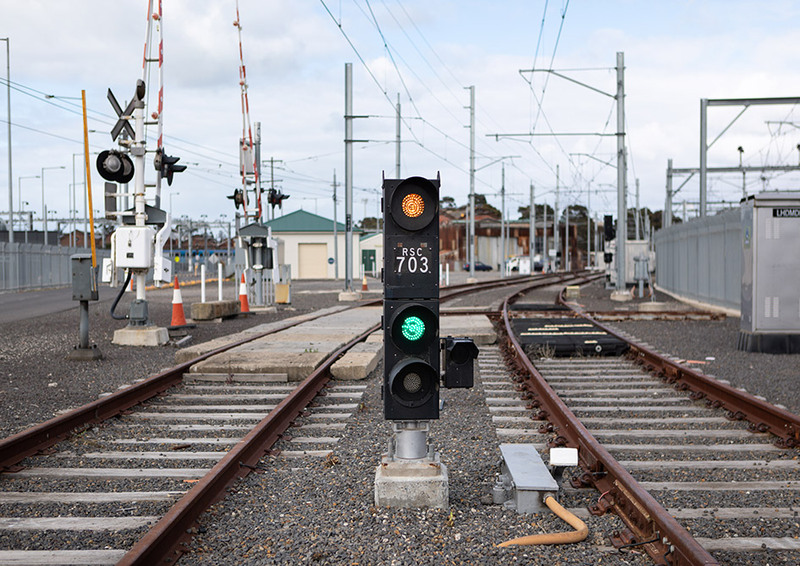 2007 – The Rail Skills Centre Victoria was established to offer specialist training and assessment facilities for Victoria’s rail and tram sector. 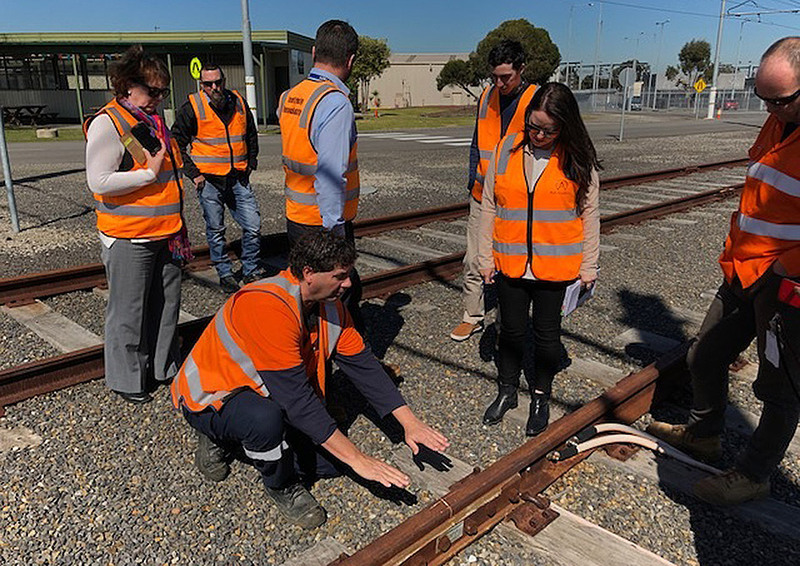 2009 – The Rail Skills Centre Victoria was established to meet the needs of the Victorian Transport Plan, addressing the demand for the industry specific skills, an aging workforce and expanding infrastructure of the Train and Tram Industry. The Tarpaulin Shop was built by H. Maxwell in 1887 and extended it in 1890 to make and repair tarpaulins used to cover perishable goods transported by wagon. The southern expansion identical to the original and doubled the size of the shed. In 1912 the Tarp shop was again expanded to double its footprint. The 1987 and 1890 sections of the building are recognised as original. Its interior is supported by timber columns and trusses, which created large open spaces that were needed for hanging the tarpaulins. The original brick section of the building was in used commercially for 90 years, from 1888 to 1980. After that time the building has been used for storage and now stands vacant on the entrance to Rail Academy Newport. Victorian Heritage Database Report. Former Newport Railway Workshops. 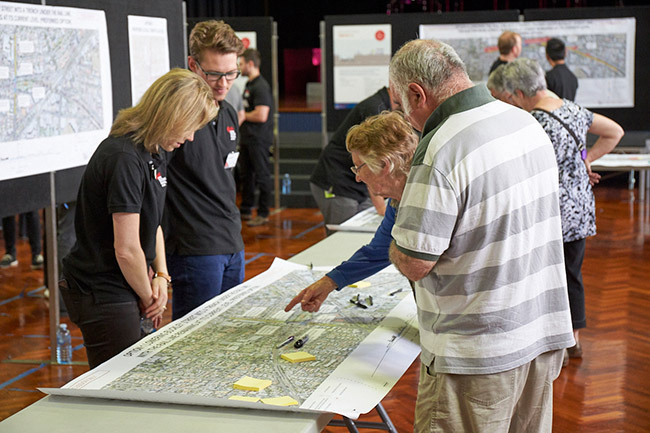 [online] Available at: http://vhd.heritagecouncil.vic.gov.au/places/11566 [22.08.2017]. Victorian Places. (2015). Newport. [online] Available at: http://www.victorianplaces.com.au/newport [22.08.2017].